Made in Jersey: Focuses on a Manhattan law firm and a street smart women who must compete with her more experience colleagues. Stars: Toni Trucks, Kyle MacLachlan, Janet Montgomery, Felix Solis, Erin Cummings. Elementary: A modern retelling of Sherlock Homes, set in New York City, starring Jonny Lee Miller and Lucy Liu (as Watson). Friend Me: Evan and Rob are two twenty-something best friends who move from Indiana to Los Angeles and work at Groupon. Golden Boy: Stars Kevin Alejandro, Chi McBride and Theo James. Centers on one officer's unusually fast rise from detective to Police Commissioner. Partners: From Will & Grace creators David Kohan and Max Mutchnick. Stars David Krumholtz, Sophia Bush, Michael Urie and Brandon Routh. Comedy about two friends whose world is torn apartment when one proposes to his girlfriend. Vegas: Set in the 1960s and based on the true story of Ralph Lamb, a Las Vegas Sheriff tasked with taking down the mob. 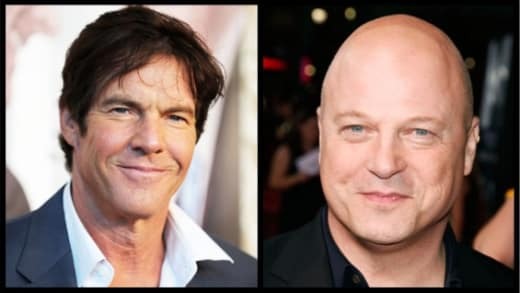 Stars Dennis Quaid, Michael Chiklis and Carrie-Ann Moss. Which new series has you most excited, TV Fanatics?